The winners of 2018 Vice Chancellor’s Education Excellence Awards have now been announced after careful consideration of a number of excellent submissions. 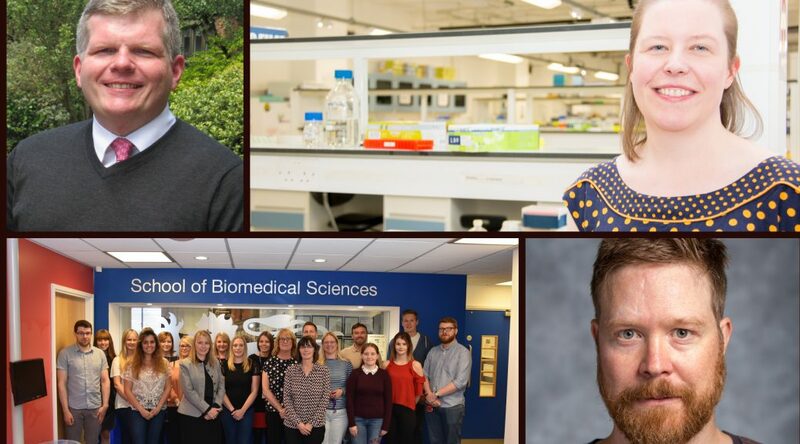 Congratulations to Dr Alison Graham, School of Natural and Environmental Sciences, Dr Patrick Rosenkranz, School of Psychology and Dr Simon Tate, School of Geography, Politics and Sociology for their outstanding achievements which resulted in them winning an individual award. A valued addition for 2018 was the introduction of the team award. Congratulations to the School of Biomedical Sciences Professional Services Team who won this all new award for their exceptional achievements when dealing with new challenges. For more information about the award and the application process, please visit the VC’s Award page on the LTDS website. Vice Chancellor’s Award-Winning JC Penet talks about good practice, employability and why he is happiest when teaching. 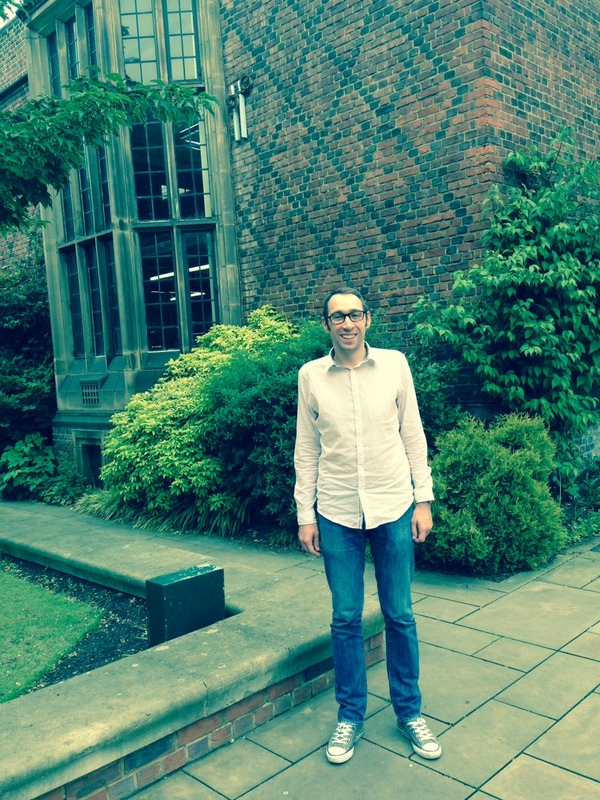 Jean-Christophe Penet, a teaching fellow in the School of Modern Languages has a number of strings to his bow. An accomplished teacher, he’s seen his professional practice grow to become a huge influence on his life and on the institution. Penet, who started life at the UWE before moving to Newcastle to take up a teaching fellowship in 2010, has won one of this year’s VC Awards, recognising his work in learning and teaching, in SML and across the Institution. JC outside the School of Modern Languages, where he teaches. ‘These awards represent a really important way of recognising learning and teaching and the crucial role they play in the University. Some of Penet’s major contributions have been above and beyond the realm of classroom teaching or delivering information, focussing on a key student concern: employability. He’s worked on two key projects in this area for SML, each begun as a response to student demand. ‘The first was in response to a focus group report which we received about concerns students had about employability. ‘We started by running a networking event in which alumni and the companies our students have gone to work for in the past, come in to meet the students of the present. ‘Often I think SML courses are seen as vocational, that you will certainly go into translation or teaching but we wanted to show that there was lots more you could do. ‘We started a blog, run by Joss Harrison in the School called Careers Translated which looks at all the options with a degree in Modern Languages. ‘We now also have an alumni evening where alumni come back and meet with students to discuss what the options are after finishing their degrees. ‘The evening raises money for the Modern Languages Society, so that they can pay for trips etc. throughout the year. ‘We also organised an afternoon event to help students to meet with potential employers and to showcase different careers for languages students. As well as this event, JC is involved in recruitment in the school, running events which bring together local sixthformers, UG and PG students such as ‘Meet the Translators/Interpreters’ to look at transition and progression between school, university and postgraduate study. Alongside these achievements JC was recognised for his contribution to teaching and learning across the University and is a familiar face on committees and in cross-faculty groups. 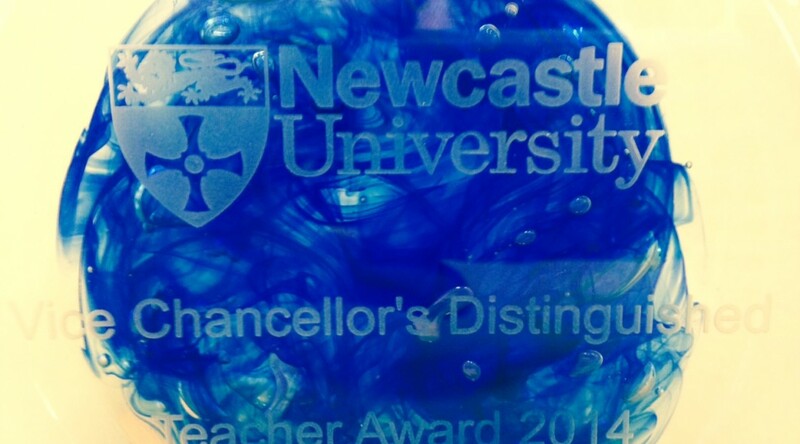 He is a founding member of Newcastle Educators, a group started by teaching staff across the University to provide support, advice and a forum for discussion of all things teaching and learning. Do you have a colleague who goes above and beyond in the name of learning and teaching? Or know someone who has a particularly innovative approach to their teaching? Find out more about the VC’s Awards or persuade them to put in a Case Study.